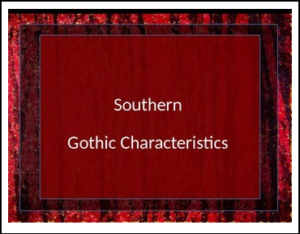 This Omega English product contains a concise Power Point that focuses on the characteristics of Southern Gothic Literature. It includes common features, a short history, and character traits of southern characters. Feel free to print it as a PDF file to use as hand-outs for your class.